Google Ads can be very useful for bringing your site or service to the spotlight with relatively little effort. They are affordable and widely available, and not difficult to work with once you understand the basics. It does look like many people are struggling with the fundamental concepts around Google’s promotional services though. 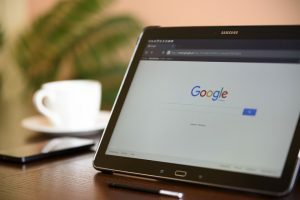 Which is strange, considering that Google themselves have provided a lot of valuable information that covers all aspects of using the platform to its full potential. Having your site ranked higher in Google’s search results can be invaluable for bringing new users to it. However, figuring out how to do that naturally can take a long time and serious expertise. Even bigger, established companies often struggle when it comes to doing their SEO correctly. With the help of Google Ads, you can purchase a premium listing for your business at the top of relevant search results. Pick your keywords right, use the right settings, and you can generate a lot of traffic to your site very easily! It’s important to experiment with your ad campaigns until you’ve found the sweet spot. Google Ads can make it easy to spend a lot of money and not see any results, so be careful. It’s best to set aside a separate campaign for experimentation purposes and tweak it in minor increments. Take notes on how different changes impact the overall campaign. Remember, however, that these results might not apply to every campaign you’re running. In some cases, there will be hidden variables at play that you are not aware of. Which brings us to our last point. There are some important areas that you should investigate in your fine-tuning that will give you better results than others. Pay attention to when your ads are displayed. Certain times of the day can bring more success depending on the type of your product. Also, it might not make much sense to run your ads on all types of devices. If mobile users can’t see your site properly (because it’s not meant for them in the first place) you’re probably wasting a lot of money including them in your targeting. Even filtering out specific device groups on a finer level can sometimes improve the success rate of your campaign. Track how your campaigns are performing regularly and note down your results. If you can analyse those results with more advanced methods – for example, complex data mining algorithms – this can improve the success rating of your operations tremendously. Above all, remember to stay educated. Always be on the lookout for new information about Google Ads, as it’s a platform that goes through constant changes. Google seems determined to stay on top of their marketing game in the future, and this is a major component of their campaign. Which is great for anyone who wants to get better exposure in Google’s search rankings, or at least those willing to dig deep and educate themselves properly. The sooner you learn the fundamental concepts, the more prepared you will be for the future. « Is Your Business Using Excel to Its Full Potential?